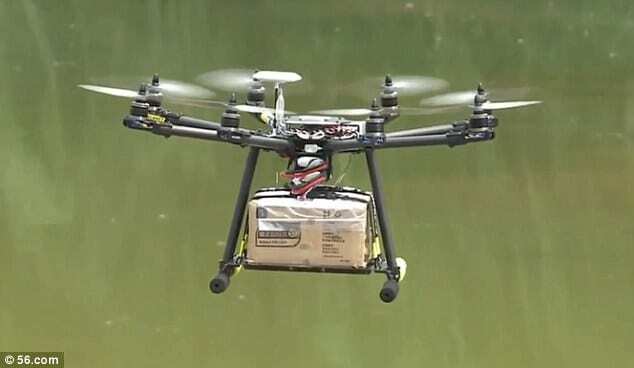 Kenya-based cargo airline Astral Aviation is in the process of acquiring two Lucas-F250 cargo drones to operate in Kenya, the first of the type in the country. According to a letter of intent signed between the company and Dubai-based Falcon Drones Technology FZ-LLC, Astral will acquire two Lucas-F250 drones with an option to purchase an additional 10 in 2019. The F-250 is an unmanned aerial vehicle with a range extending 1500 kilometres, endurance of up to 10 hours, a cruise speed of 150km/h and maximum speed of 200km/h. It also benefits from a cargo weight of up to 250 kilograms, capacity for EURO pallet dimensions, folding wings, a folding tail, fully autonomous takeoff and landing and Waypoint Navigation and landing. This comes at a time when the country is battling to provide way forward for operation of drones. The country had outlawed the use of drones in the country, until early this year when the Kenya Civil Aviation Authority (KCAA) legalised the gadgets, upon operators meeting certain requirement. For instance, commercial drone operators will be required to pay at least Ksh230,000 to be licenced while private users must part with at least Ksh110,000 to be licensed. Also, recreational drone pilots must join drone club or association as part of the permit process. Currently, drones in Kenya can only be flown during the day, and only in good weather conditions. Astral Aviation chief executive Sanjeev Gadhia said that the firm will expand the drone network in phases, comprising domestic, regional and then intra-Africa deliveries with Nairobi as the central logistics hub. The second phase, targeting the eastern Africa region, will focus on point-to-point and last mile delivery within “strategic drone hubs”, serving a population of 250 million people, all subject to regulatory approval. However, Kenya and Rwanda are the only countries in the region to regulate the use of drones, which are controlled either autonomously by on board computers or by the remote control of a pilot on the ground. The third and final phase will extend the range of phase two to include strategic locations in Africa, he said. Astral operates a cargo aircraft fleet of F27 (5 tonnes), DC9 (15 tonnes) and B727-200 (24 tonnes) freighters within its intra-African network, in addition to a leased B747-400 freighter on the Nairobi — London route.